There’s an enormous amount of competition in the job advertising space. If you want to stand out, you need to provide unique, valuable content that elevates you above your competitors. If you can provide insight, ideas, and inspiration that’s not available on big websites or others in your niche, your website will become a more compelling destination. 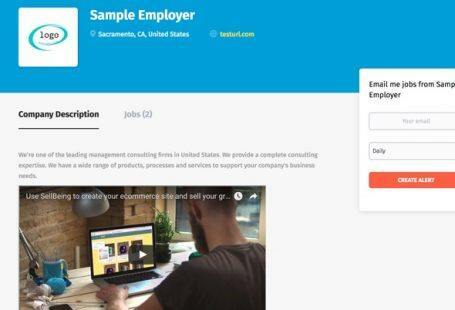 Companies like Google, Facebook, and Indeed are trying to centralize job postings through their own services, markups, and standards. 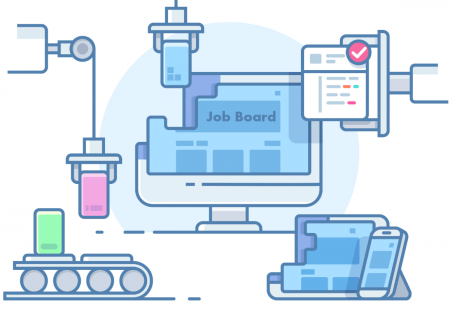 Due to this centralization, you need a way to tempt both recruiters and applicants away from these larger portals towards your niche job board website. Creating unique content will help you rank for important not job-related keywords, encouraging searchers to visit you online. There are many different types of content you can create, depending on your intent, skills, and approach. For example, people with natural writing skill will want to create blogs, researchers might create reports, while developers create awesome tools. If you’re struggling to find the type of content you can create, this article will point you in the right direction. For each content type we’ll cover the main benefits, areas you will need to consider, examples, and next steps. By the time you’ve read through, you will have an excellent understanding of the best types of content to create for your job board website. A Q&A forum is a place where website visitors can ask questions and get answers. It’s a useful addition to your website because if you’re supporting a specific niche, it provides great content to people involved in that niche. A great example of a website that does this well is Stack Overflow, it has Q&A on practically every subject, with a focus on programming. And guess what is their main revenue stream? Of course their job board, which is extremely popular among developers. Much of the Q&A content will be user-generated. People will come back to your website repeatedly to ask and answer questions. You can develop other content like resource guides and blog articles from popular questions and answers. It doesn’t require a great deal of effort and administration from you. You will need a critical mass of users to make the forum worthwhile. This is similar to the “Chicken and Egg” problem that job boards have. You can start by posting and answering questions yourself. It can take a while to generate good SEO. It helps if you have specialist Q&A and user support software that end users can interact with. This software includes applications and vendors like Askbot, Answerbase, OSQA, Qhub, and Question2Answer. Every industry is supported by multiple events, seminars, conferences, webcasts, and other events where people can get involved. Filtering, understanding, and pointing people to the most promising events in their sector can be a really useful service and makes your website to be a place recruiters and applicants can return to again and again. 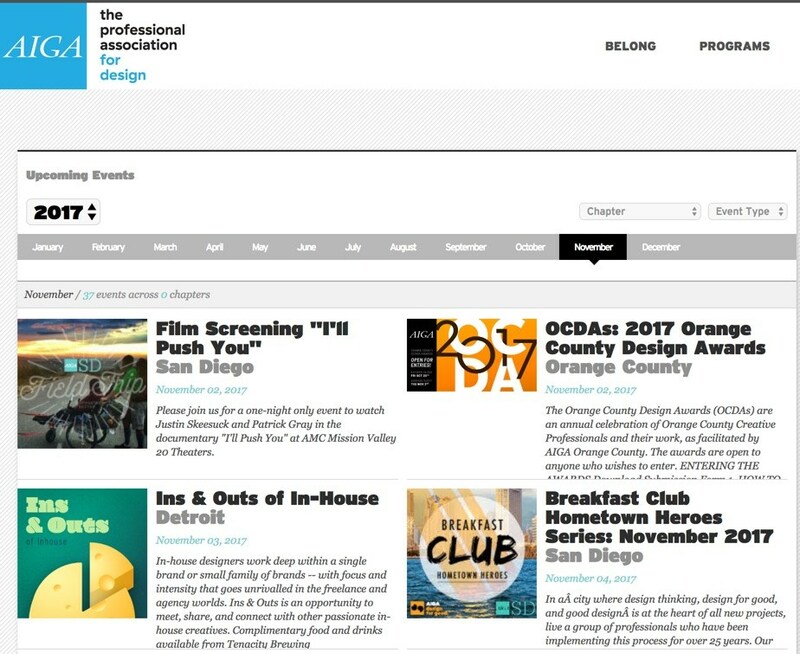 Aiga (The professional association for design) is a great example of a website that does this really well. It provides an extensive list of events for designers. And their job board is a leading one in graphic design niche. You can have users of your website submit events for listing, reducing the amount of research you need to do. People will come back to your website repeatedly to find out what is going on in their industry. You might be able to monetize events by offering ticket sales or similar as an affiliate. You will need to spend some time researching and consolidating content together. You should update events on a regular basis so your listings are always current. Find some good event curation software so you can list events in the best possible way. Try out Time.ly. Courses are a way of providing training and skill development for your readers. They’re a great addition to your website because they are an incredibly valuable, useful resource. Leaning more skill makes candidates more attractive to employers, so by learning what recruiters need and providing it, your website becomes important to potential candidates. MediaBistro is great at providing in-depth, online courses for media professionals. That is also one of the reasons they are number one job board in their niche. You can learn about the typical skills recruiters and businesses are after and build content around those skills. 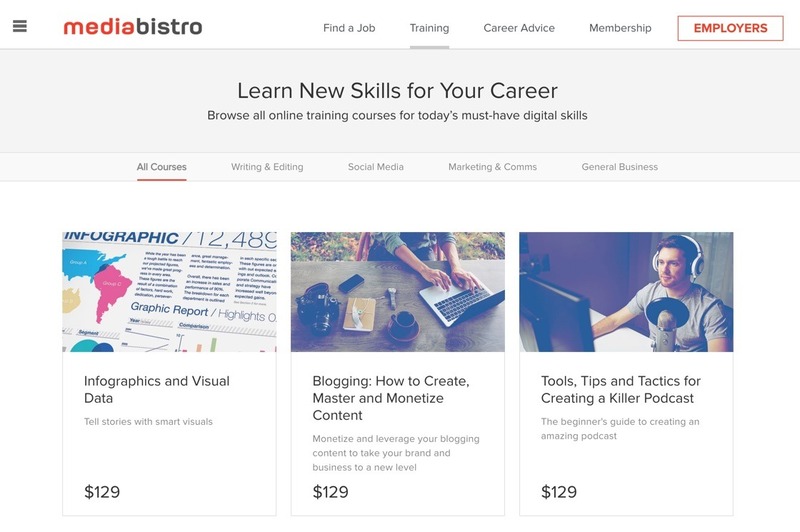 You can monetize your courses to create additional revenue streams for your website. Your website becomes a very attractive resource for candidates wanting to develop specific skills. You can easily analyze what skills are needed from the job posts you’re getting. Developing online courses can take lots of time, energy, and money. You will need to focus on one or two very specific skills to begin with before you branch out. You will need to balance your free courses versus the ones you charge for. There’s plenty of software to help you with creating courses. For video teaching, you can try Travitor or Moovly. For other types of course creation, iSpring and Articulate 360 are good choices. You may also partner with course providers in your niche and just place links to courses related to your industry on your site. So, what’s it really like to work at a business? Everyone likes to go behind the scenes, and learn about the real company culture and expectations of employees. Providing a glimpse into the inner workings of an organization is something that Glassdoor does really well. You’re not limited to company reviews either — anything that provides deep insight into a specific niche or sector is going to be well received by your readers. For example, you could also have interviews with prominent people in the field. It’s likely to be unique, attracting both interested readers and search engines. Reviews tend to do very well in search, especially if they are marked up properly. You can develop a reputation for providing original, compelling content. Interviews are also popular with readers. Much of your content can be user-generated. Getting access to this type of content is tough — you either need to create it yourself, based on your own insight, or get users willing to write reviews. You will need a critical mass of users to make this worthwhile. You can approach prominent people and ask for interviews and provide a link or payment, if needed. Creating this type of content is about finding the right people. You will want former employees to write reviews, or you will need to identify influencers who you can interview. LinkedIn is a great resource for this — you can connect with people in specific sectors and businesses, develop relationships, and then involve them in content creation. If you want to add reviews to your website, software like Disqus or Power Reviews can be extremely useful. A blog is almost a standard requirement for websites. The combination of continually updated, relevant content keeps your website fresh in the eyes of the search engines. And powerful writing and articles will keep your audience engaged and coming back for more. 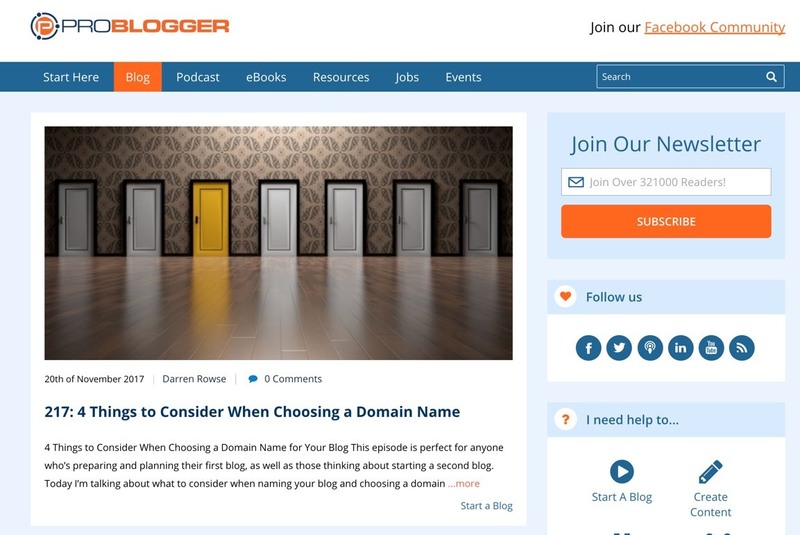 Problogger does an excellent job of providing rich, varied content for freelance writers. You can create relevant, focused content specifically tailored to audience needs. Readers can subscribe to your blog and visit your website to learn more. Regularly publishing articles keeps people coming back. Blogs are excellent for SEO purposes. 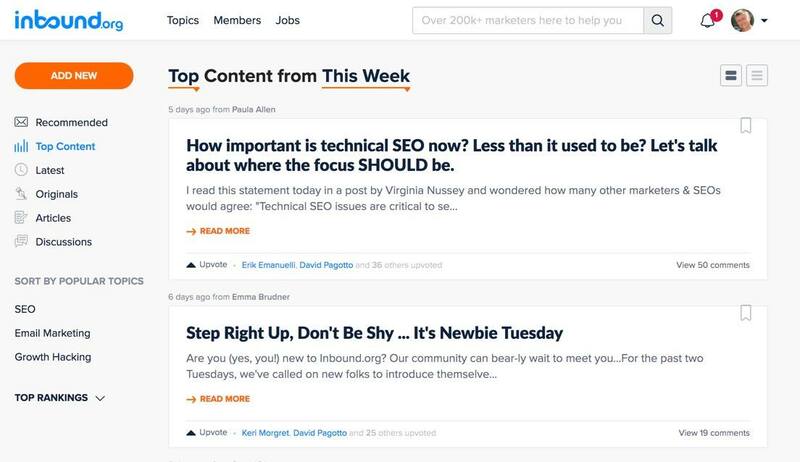 You can share a wide variety of content via your blog — articles, videos, interactive features, images, and much more. Starting and maintaining a blog can be a lot of work — if you can’t do it yourself, you will need to hire a writer or other professional. You will need to create a constant stream of ideas for your blog. You should create an editorial and publishing calendar for your blog articles. You will need to promote the articles once they are published. You will need to understand exactly the type of content your audience wants to see. There are a few next steps you will need to take if you want to create compelling blog content. Understand the type of readers you want to attract and what they need. Decide what you want your blog to be about and create ideas and outlines. Put together an editorial calendar for what you want to publish and when. Create the content yourself or have a professional freelancer do it for you. 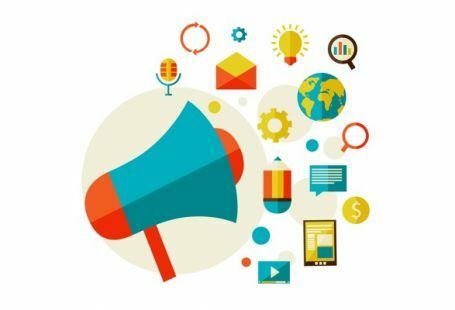 Publish your content and promote it. In terms of blog software, many job board platforms already have the blogging module built in. If they don’t, you can use blogging platforms like WordPress or Medium. Your blog probably contains short- to medium-length articles on a variety of different topics. Blog articles tend to be more bite-sized pieces of content that people can consume in a few minutes. There’s a type of content beyond that, and it’s really powerful. We’re talking about research, reports, and other resources. White papers — authoritative resources that share a particular perspective and share ideas around specific topics, often backed up with research and citations. Reports — detailed information on specific parts of your industry, like market reports, data analysis, business intelligence, and more. Research — powerful, investigative research that takes a deep dive into one specific topic and covers it exhaustively. A great example of this type of content is Payscale’s salary reports. Users submit salary data across hundreds of sectors and thousands of jobs. Payscale aggregates all that information and turns out some fascinating results. This type of content does really well with search engines — long form, keyword-rich content can be highly-placed. You will quickly build up a reputation as an authority in your field. You can get other opportunities, for example, you might get interviewed. Long-form content like ebooks and white papers can be a great incentive for people to sign up to an email list. This type of content takes a lot of time, effort, and money to create. You will need an expert in data analysis and producing compelling content. The next steps for research, reports, and resources are similar to writing for blogs, just much more in-depth. Understand the type of content readers want from your research, reports, and resources. Create several ideas for the content you can create. Community curation is all about your users finding content that they will then share on your website. Think of websites like Reddit or Inbound.org, where users submit content and then others vote and comment on it. Much of the curation content will be user-generated. People will come back to your website repeatedly to share, read, vote, and comment on articles. You can make your website into a great resource for sharing awesome content. You will need a critical mass of users to make the experience worthwhile. You can start by posting and curating articles yourself. You will need special software for this type of curation. Good alternatives include Discourse and Kliqqi. Whatever content route you decide to use, make sure you understand your audience. Create, publish, and properly promote your content, then track how people are using and responding to it. Use this insight to refine your content strategy further — always be experimenting and expanding. That way you can find out what content performs best, and keeps people coming back to your job board website. Do you already use different content types on your website to attract visitors? Share with us in comments below. Right now on SJB, we are using the News section to add articles so am having to rework a bit to use this for this purpose. Love the job board and the capabilities that it has. But would love to be able to have an article directory or blog even to post articles already available as plug in or addition in future for article content. Just an idea? The new blogging platform is available in the latest Smartjobboard version. This is the information I was looking for because as you may be knowing I run a Government Job Information Blog site in India, which have more than 13000 job information blog posts with millions of jobs information. But over the time the life of job blog post is over and no body is interested in it. So I am now concentrating on increasing content pages for so that Govt. Job job seeker can have information about how to get selected for good government job in India.